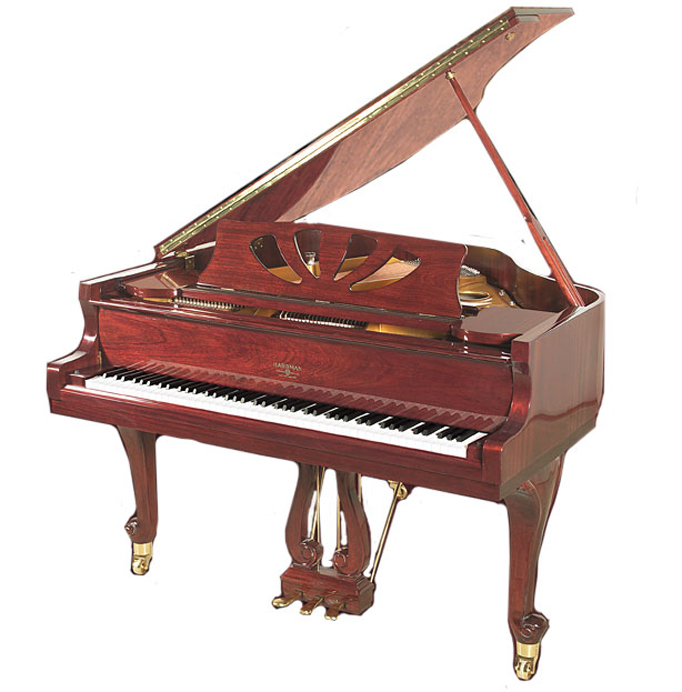 Hardman Peck pianos are one of the most important brands in United States piano history. 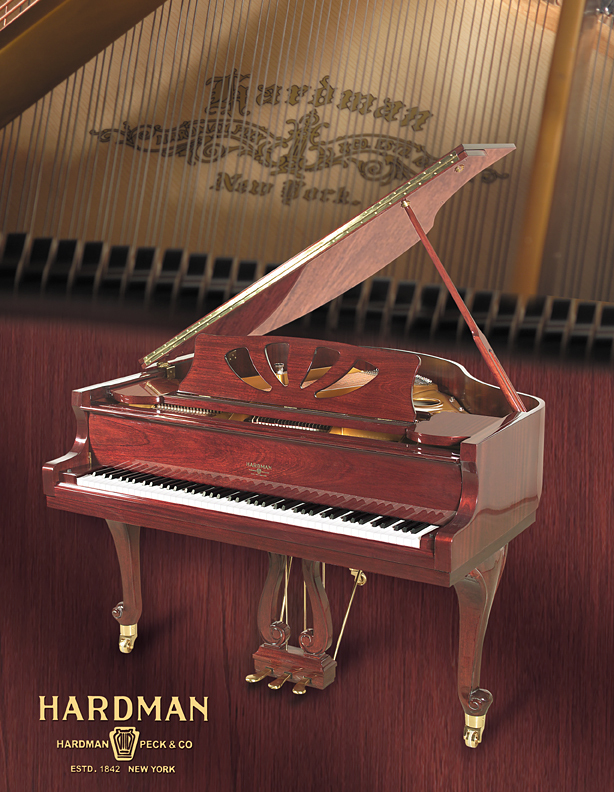 Established as the Hardman Piano Company by Hugh Hardman in 1842 in NYC. The company was controlled by the Hardman family until 1890 when Leopold Peck became a partner and the company was renamed Hardman Peck. The company's reputation ran to the highest levels of the music world. The Hardman Peck piano was for many years the official piano of New York's famed Metropolitan Opera. The company had the honor of being the official piano of the Franklin Delano Roosevelt White House. 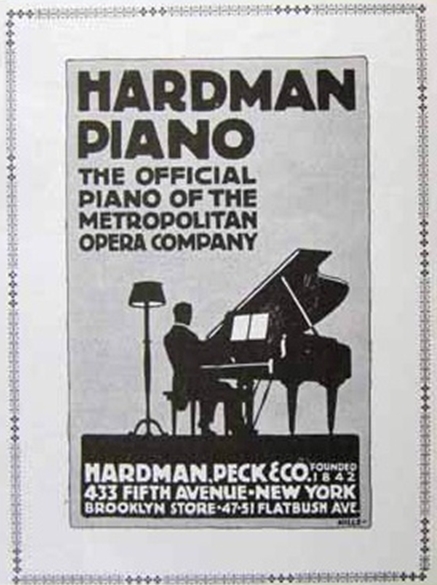 The Hardman company was later acquired by one of America's largest piano builders, American Aeolian. 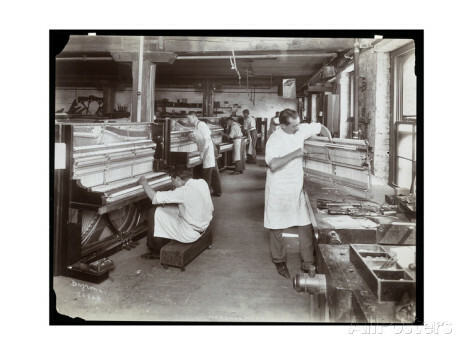 The Hardman line was expanded under Aeolian and they continued to make Hardman pianos in the USA until the 80's. North American Music ( the largest independent piano company in the USA) acquired the company and moved the production to China. They partnered with a manufacturer who who was in joint venture with the Kawai piano company of Japan. The pianos produced by the joint venture factory were sold under the Kawai brand name in much of China and parts of Asia. 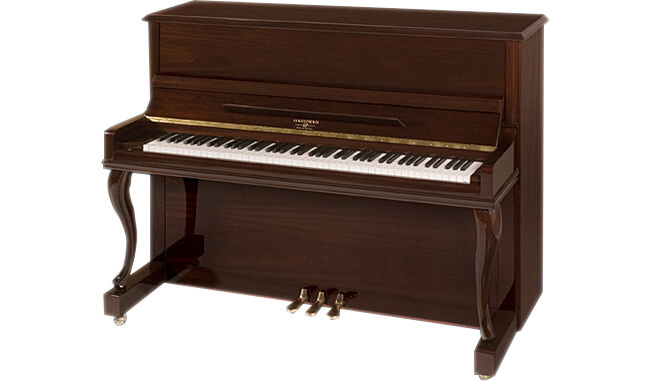 Virtually similar pianos are sold in the USA now under the Hardman Peck brand. Kawai helped create a worst case scenario for themselves by having to compete against pianos they helped to design and sold at a significantly lower price than similar sized Kawai brand pianos are sold for in the USA. When the joint venture agreement ended in January 2014 the former joint venture factory continued to produce the same pianos that Kawai had a hand in designing. 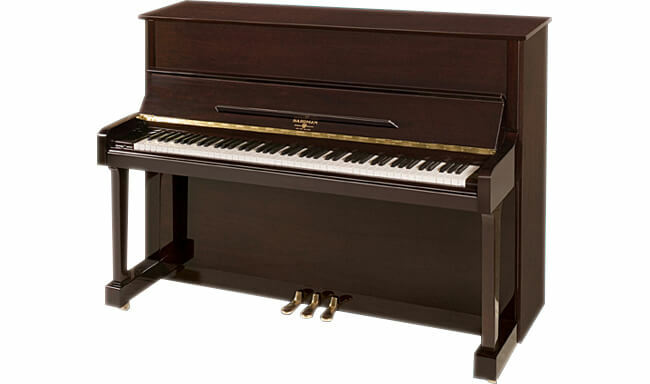 Hardman grands feature design elements that out spec similar sized Japanese pianos. These pianos feature a wider width to the tail area. 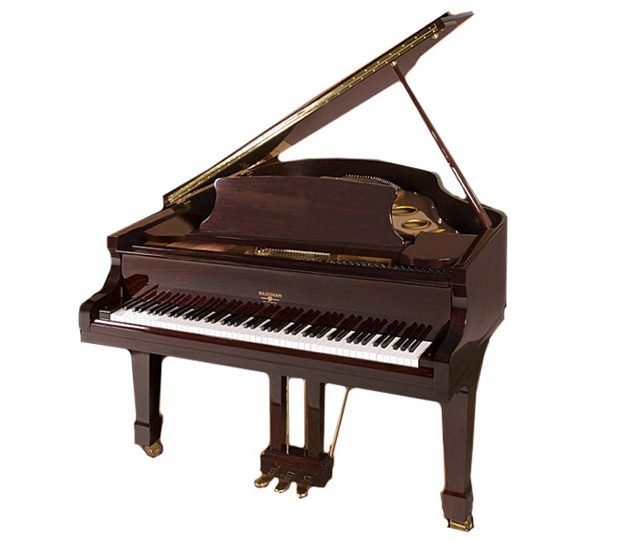 Hardman grand pianos outer rim is thicker than the top-selling Japanese brand piano. 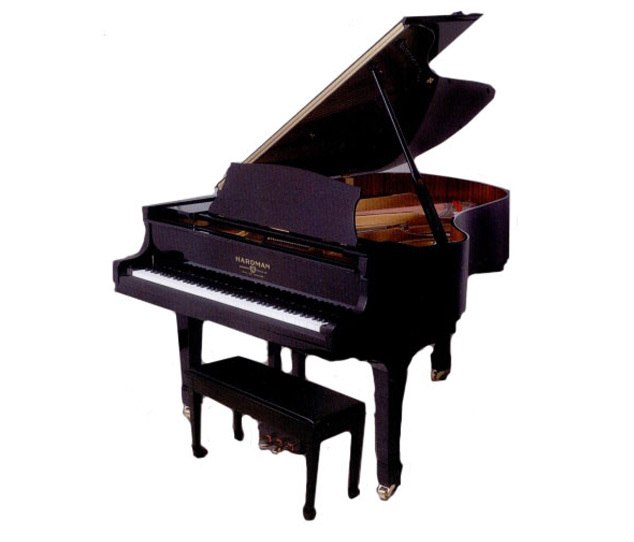 A thicker rim made out of harder wood increases the pianos ability to sustain. You'll also notice Steinway-style spade legs featuring large 2 ¼” wide casters. Versus a paired down leg with a single width caster. Thanks to the improvements learned during the Kawai joint venture years the Hardman Peck grand has a wonderfully light, fast action. 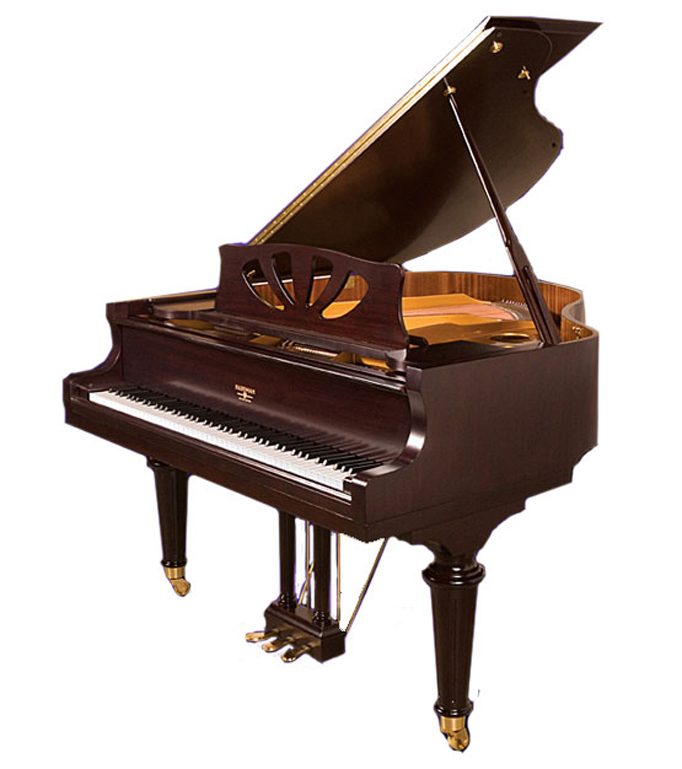 All Hardman Peck grand pianos look rich with a nice beveled edge on the lid – most other brands have no bevel on the lid until you go to their more expensive pianos. 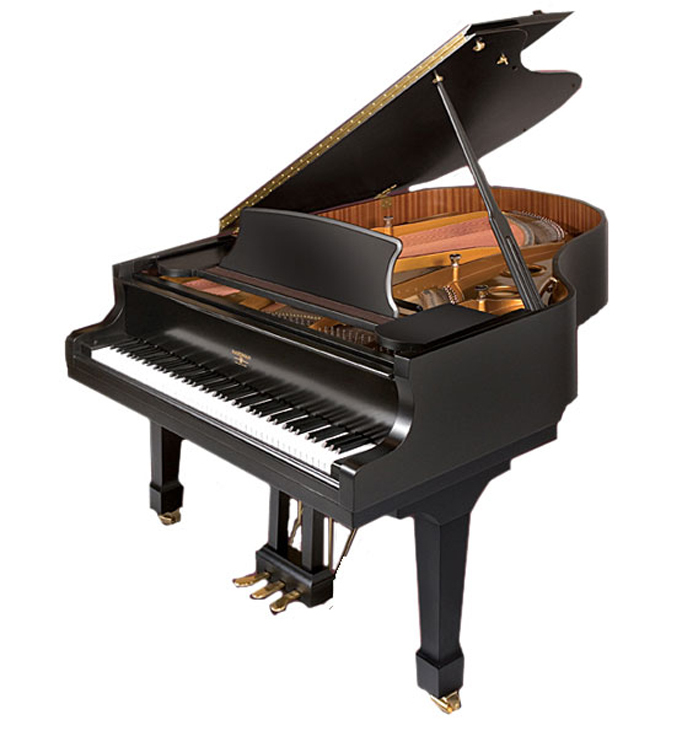 The rim frame even on the Petite model has 3 good size posts – a design feature not found on other pianos in the same range. All Hardman Peck grands feature a sostenuto center pedal again a design feature not found on similar sized pianos from Japan's largest piano maker who only offer a bass sustain until you go to their more expensive pianos. When you take into account all of the input to these pianos from over 20 years from Kawai Japan it really makes sense to consider Hardman as an alternative to a 10, 15, 20, 25, 30 or more year old used Japanese piano, Many older Japanese pianos are filled with worn parts that are expensive to replace. The piano is a string instrument with a mechanical machine interface. There is no machine that's been used for 10-30 or more years that is as good a brand new machine. A "refurbished" Japanese piano does not have new parts, but rather cleaned up used parts. Piano wood breaths and expands and contracts constantly. This has an effect on the dimensional integrity of the parts. That's one of the many reasons we prefer a new piano such as the Hardman over these older used Japanese pianos. Hardmans are extremely well built with a 10 year parts and labor warranty. They are so good in fact that we use them in our School of Music and have a large and growing number in our rental piano pool. We use them for rentals and in our music school because they are bullet proof and stand up to hard use. If you're thinking about a used Yamaha or Kawai piano or simply a great piano without breaking the bank you have to come in and play the new Hardman Peck pianos. 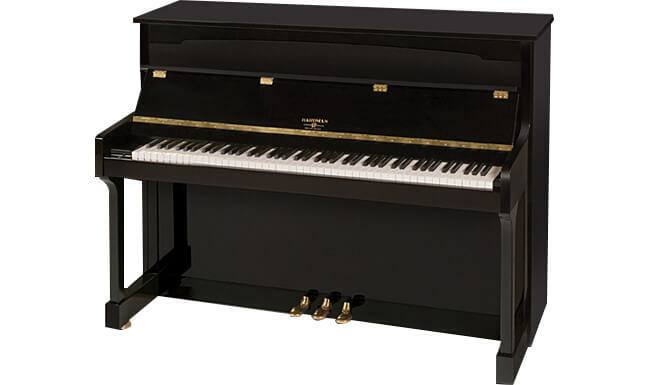 Hardman's ongoing quest for higher quality was recently recognized in the Spring 2014 edition of the industry bible, The Piano Buyer where the entire Hardman line was upgraded to Mid-Range. 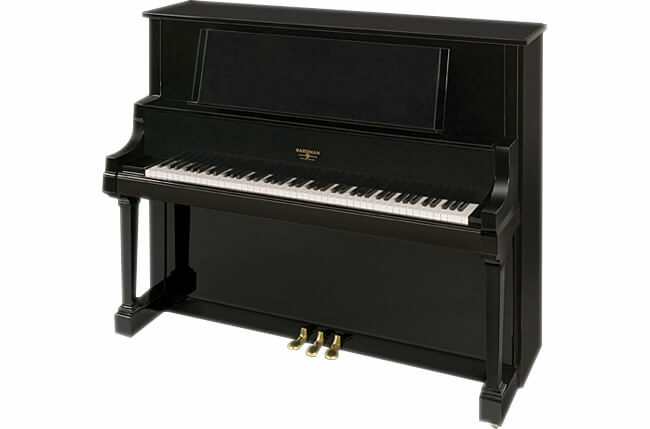 In the 2016 pianobuyer.com the Hardman 45F was chosen as a best buy "Staff Pick". Why is Hardman getting this thrid party recognition? 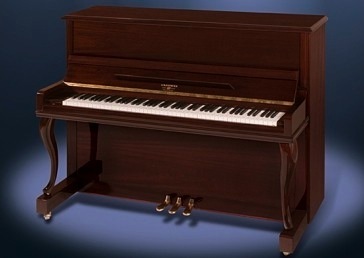 The answer is simple, high quality, and similar to Japanese branded pianos but at a significantly lower price. Come in and hear for yourself what makes Hardman the best value in the market. Extraordinary Value - For what you might pay for a pre-owned Japanese piano you can purchase a piano that had the benefit of a 20 year joint venture with Kawai Piano Japan featuring models that were sold in Asia under the Kawai name. 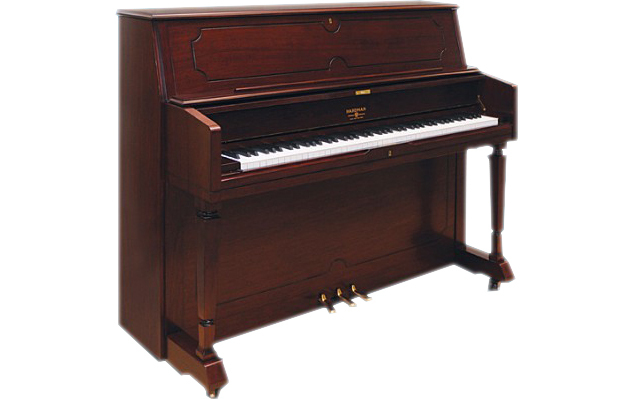 Built Well - these are sturdy well constructed pianos that hold up to hard use. We have countless Hardman pianos in our rental pool and use them in the practice rooms of our teaching facility where we find them to be bullet proof standing up to regular use every day for many hours a day of use. Japanese Hammers - The heart of a piano and the element that most effects the sound are the hammers. Like both Yamaha and Kawai all Hardman pianos have Japanese hammers. Variety Of Models - Hardman has great choices of styles and finishes from Art Deco to Chippendale from white to stunning mahogany . Extrodinary value - Hardman Peck pianos represent the strongest values in the market out performing the famous Japanese brands promotional and entry level pianos often costing considerably more size for size. Hardman Concert Pro Upright 52"